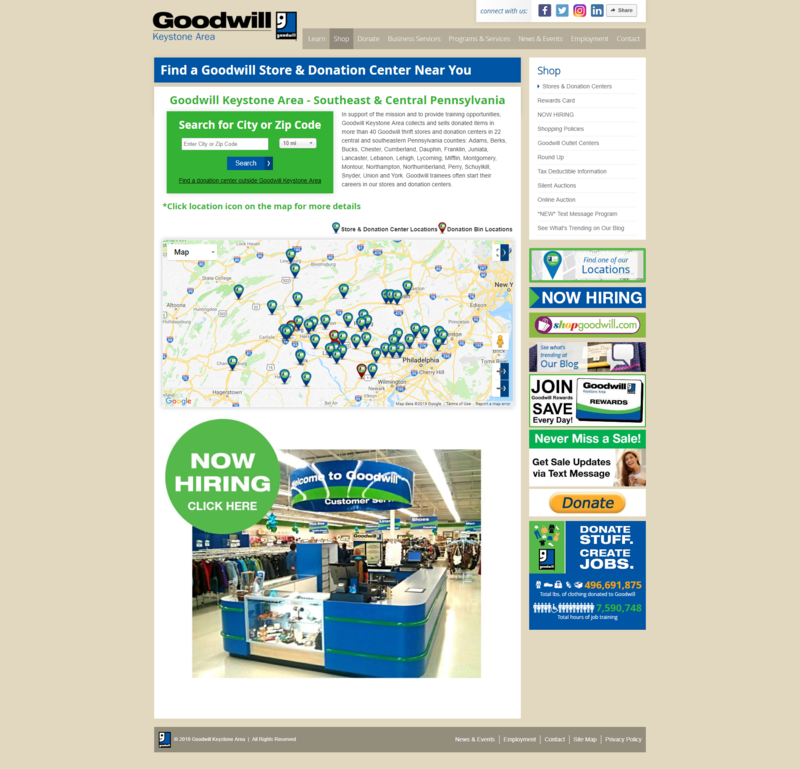 Goodwill Keystone Area | Portfolio | Sharp Innovations, Inc. 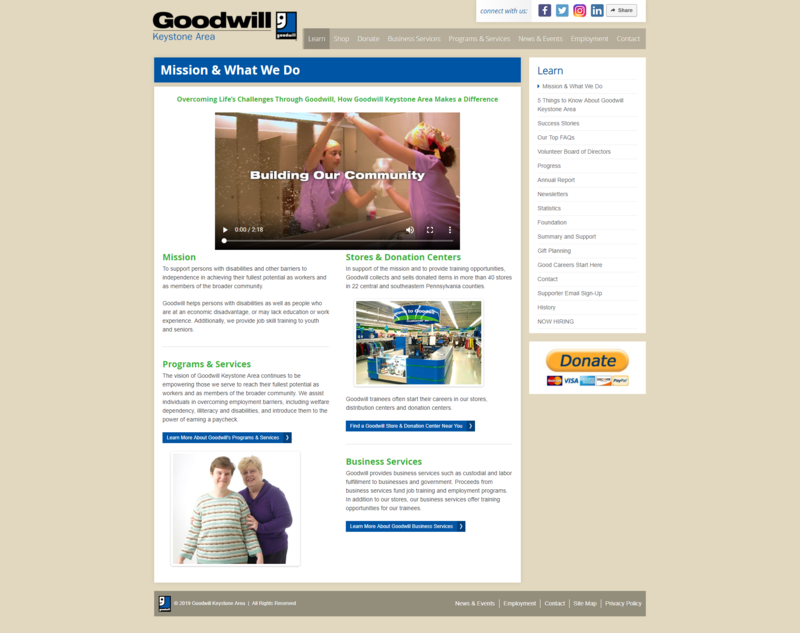 The existing Goodwill Keystone website was designed in 2008, and a more modern online presence was desired to help stay engaged with modern audiences. 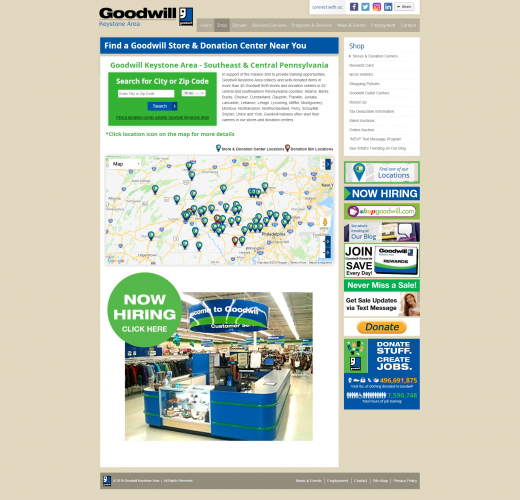 The pre-existing site was also not particularly mobile friendly, nor did it allow for easy access to the most important sections. The team at Goodwill Keystone engaged Sharp Innovations to create a site that was much more fresh and stylish than their previous website. 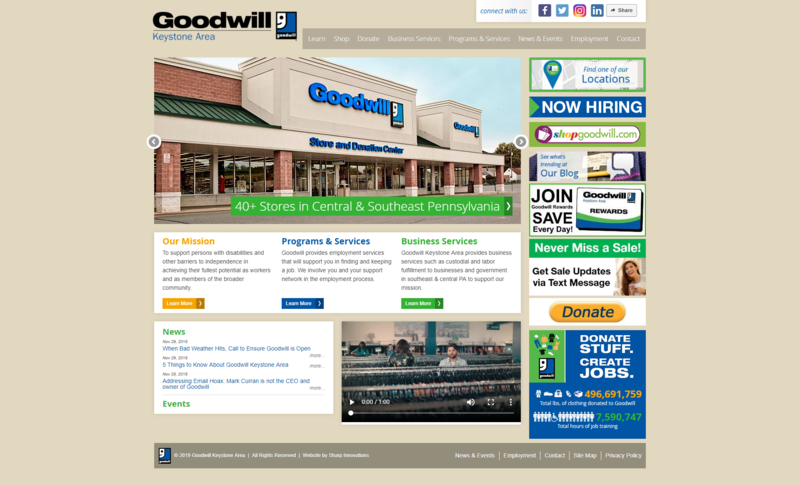 They also wanted one that was easier to navigate, emphasized store and donation information, was mobile friendly, and was easy to update. The design team at Sharp Innovations presented a range of concepts, from mild to wild. As it turned out, the "wild" version was very well received internally, but deemed to be a little too edgy for the core website. So, this more dynamic version become the new blog design, and a more conservative approach was taken with the main website. 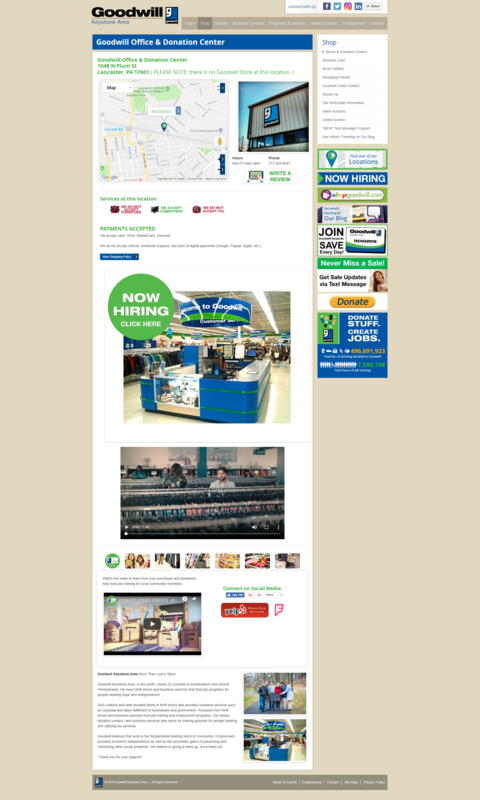 It all worked out well, as the new design allowed for easily accessed content, good compatibility with mobile devices, and a more easily updated layout. The reception to both of the new designs has been overwhelmingly positive, and allows Goodwill Keystone to more effectively reach the individuals and businesses they serve.